Asiago is the sadly underappreciated Italian sibling of parmesan. Give it some love, people! 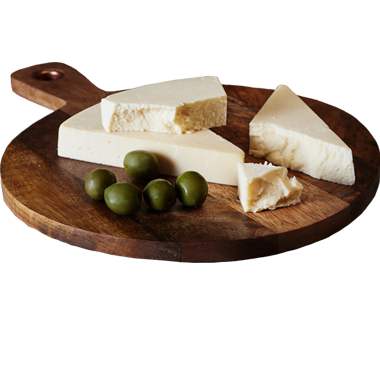 From young and smooth to aged and crumbly, asiago is a fruity and slightly tart, savory cheese. We love to eat it fresh, but we enjoy cooking with it even more. Named for the small town in northern Italy where it was born, asiago is similar to other mountain cheeses in that it’s dense and firm, well-aged, and originally crafted to weather those long, tough winters in the Dolomites (the Italian corner of the Alps). We love our Wisconsin asiago unconditionally (and year-round!) on its own, on a cheese board or finely grated over nearly any pasta-based entree. When fresh it’s elastic and semi-hard, when aged it’s hard and slightly granular. For easier slicing and grating, room temperature is best. Whether young or aged, asiago is a versatile cheese. Put-in-a-pint drinks that we favor with it include hard ciders and fruit beers, pilsners, pale ales and lighter Belgian ales. If wine sounds fine, then we recommend riesling, sauvignon blanc, pinot gris, cabernet sauvignon and syrah. If liquor is more your speed, then both scotch and rye whiskey pair well. A nutty and assertive sake loves asiago too. Asiago is great on its own, on a cheese board, in sandwiches or salads or finely grated over pastas or risottos. We love to grate it over lavash, focaccia or other flat bread dough, and bake it until golden and lovingly melted. It’s also really good over broiled fish. If you want to enjoy asiago as a dessert, serve it with walnuts, dried apricots and honey — or other fruits and nuts of choice.